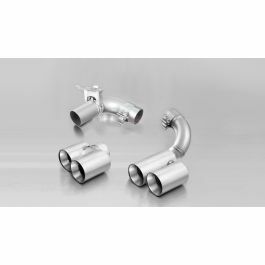 The REMUS sport exhaust for the BMW 3 series F30/F31 330i(x) LCI offers a significant increase in performance and torque due to reduction of back pressure and flow optimization. 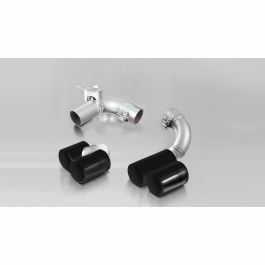 Less weight and the well-known sonorous REMUS sound are additional features, which distinguish the REMUS sport exhaust from the stock exhaust. The original exhaust will need to be cut at the manufacturer marked cutting point! Suitable for standard bumper and M sport option! The right side skirt outlet must be trimmed as per the enclosed template!